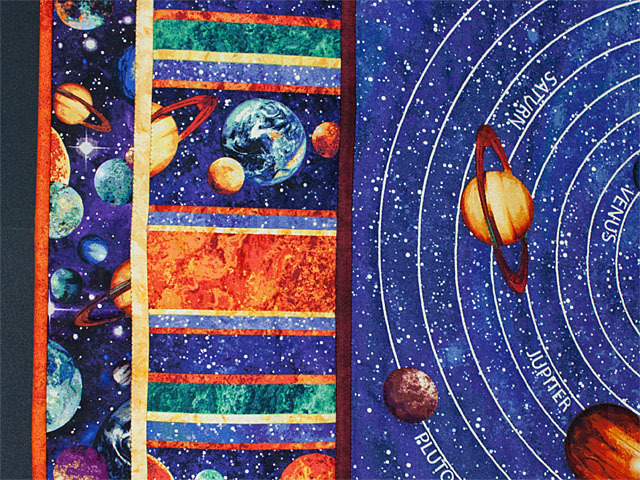 A perfect wall quilt or crib quilt for the little people who love space. 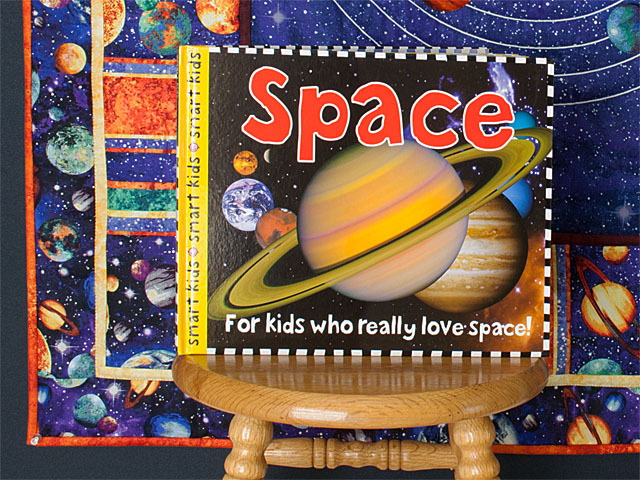 Includes an educational book on the Solar System and will be a toddlers delight. 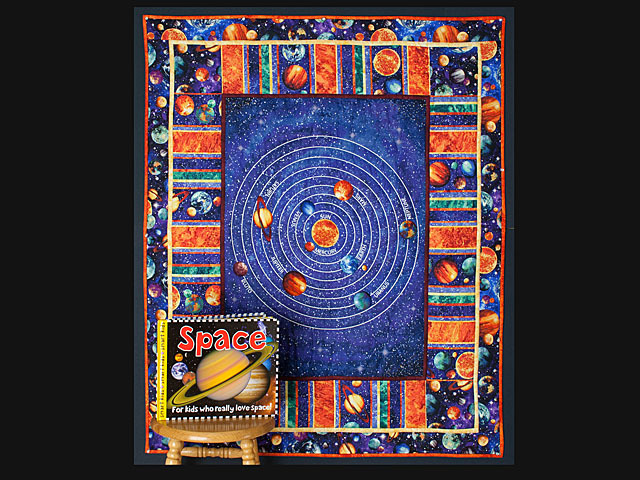 Not only is it an awesome quilt plus a 28 page book on the wonders of space, but the white rings of the planets and the back side of constellations glow in the dark! It's true - i've tried it and it's so so fun! 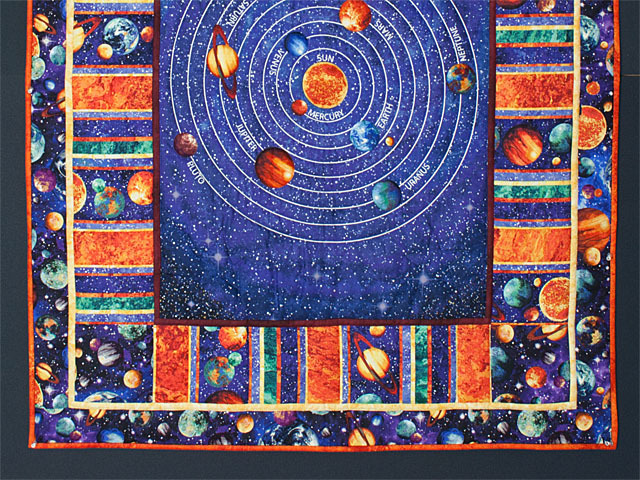 A perfect introduction into space. 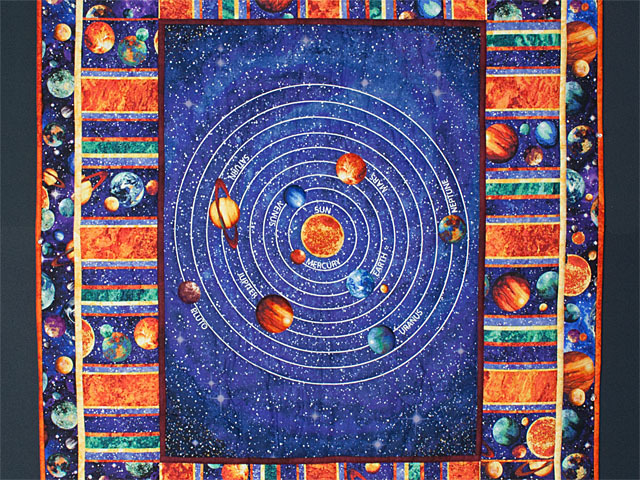 And Grandmas, not your average gift !! 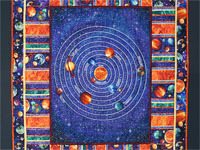 The quilt is made of 100% quilters cottons and is hand quilted by an Amish woman in her home. 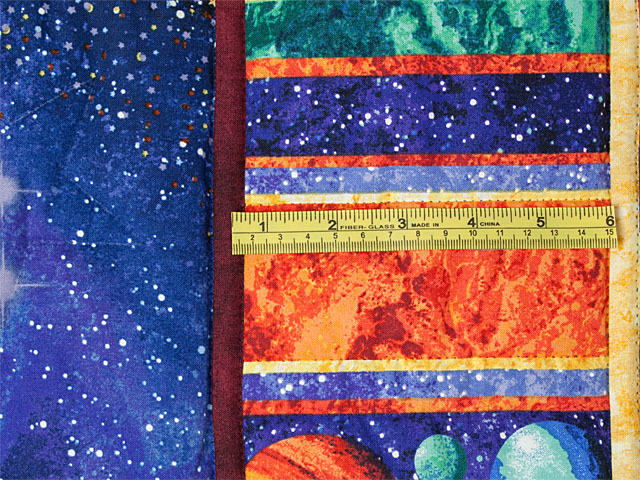 We love making smart kid's quilts. 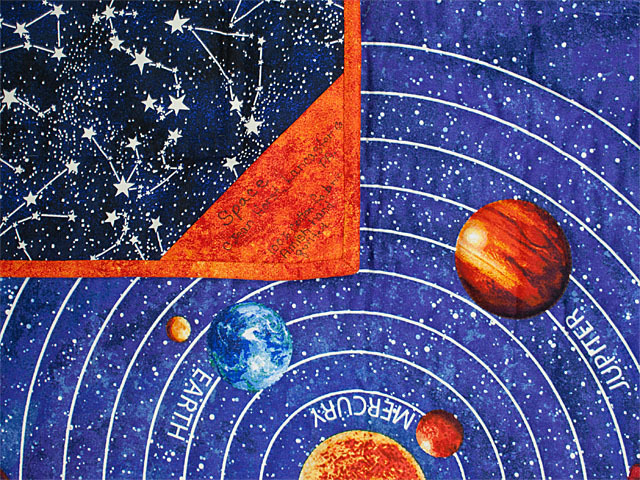 This is an arrangement of C Jean Horst, Lancaster County, Pa where the finest Amish quilts are stitched.